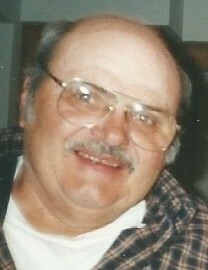 Peter John Toth, age 87 of Packwaukee, passed away Saturday, March 23, 2019 at Divine Savior Hospital in Portage surrounded by his family. Peter was born in Sivac, Yugoslavia to Mate and Theresa (Stockl) Toth on January 25, 1932. He came to the United States at the age of 8 and was raised in Skokie, IL. He attended Niles East High School and served in the United States Army during the Korean War. Peter married Janice Boekenhauer on May 5, 1951 in Morton Grove, IL at St. Martha’s Catholic Church and they enjoyed 61 years together until her passing on March 22, 2012. Peter and Janice moved to Packwaukee in 1994 and together they spent many hours fishing on Buffalo Lake. While his health allowed, he regularly attended St. John the Baptist Catholic Church in Montello and also the Senior Center in Packwaukee. Most of all, Peter immensely enjoyed spending time with his family, especially his grandchildren. Peter is survived by two children: Joseph of Packwaukee and Margaret (Jeffery) Gartner of Morton Grove, IL as well as his two grandchildren: Bryan (Jenna) and Rebecca Gartner. He is also survived by his brother, Matt (Mary Fran) as well as many nieces, nephews and numerous dear friends, especially Audrey Imhoff. Peter is preceded in death by his parents, wife, Janice, siblings: Joseph, Margaret and two infant sisters. A memorial mass for Peter will be held at a later date at St. Martha's Catholic Church in Morton Grove, Illinois.